As Adam Boyes tells it, this is a new age for Sony and its supported games, one anchored by the freshly uncorked PS4. 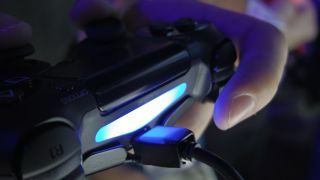 "It's fun to be at PlayStation," Boyes, vice president of developer and publisher relations at the company, said during a roundtable conversation at E3 2013. "Literally when I joined, there was some hesitation at first because I dealt with it on the outside," he said of his feelings 14 months ago. Before joining Sony to work with third-party publishers and developers, Boyes published his own games and understood the plight of independent creators everywhere, especially with a Sony that wasn't exactly easy for devs to deal with. "I was like, 'Are they ready to change?' And then I'm like, 'Nah, I think they are.'" For Boyes, the most exciting news he's shared about the console (aside from its 8GB GDDR5 memory) has been on Sony's support for independent publishers and developers. The company's press conference saw nine indie titles take the stage. "If you look at the way we built the console, from the way Mark Cerny went and talked to every developer out there, and him being a developer and a creator, and Shu Yoshida being the biggest indie fan boy on the planet, and then I came in and saw the specs for the box, and I was like, 'This is so developer friendly. This is so amazing.' I was shocked. "So with Cerny and Shu sort of heading it up already, and then talking to Andy House and Jack Tretton and all the guys and them being big fans of indie stuff, it was like, let's go out there and let's talk to indies and let's hold ourselves accountable." Boyes saw the company transform its games submission process, which included credit checks and required developers be in the same place for four years, from archaic to conducive. Since the company announced the PS4 Feb. 20, there have been hundreds of global developer registrations, Boyes said, while GDC 2013 saw a dev-sepcific website introduced: "We didn't have a website with information on how to become a developer...amazing. Baby steps." Providing a robust game ecosystem is important from a business perspective, Boyes said, but so is giving consumers more choice on what they can play. "We want to create great content [and] allow people to have access to great content," he said. "When I was at Capcom, I ran product development and we would go out there to try to find great games to publish. And that was fun, but I had a revelation during my tenure there that we're now applying to Sony, that I no longer know what's cool. "One person cannot tell me what's cool. And developers should be given an outlet, a megaphone to be able to talk about their content and get it out to people." Boyes said anyone keeping tabs on Sony should expect indie titles to be a central peg of the PlayStation conversation from now on. When asked about the "instructional" video Boyes did with Yoshida explaining how game sharing works on the new console, Boyes said the two were just having fun. It even surprised game publishers, which knew most of what Sony had in store for its press conference except the price. But that fun also trickles down to serious decisions, particularly on the PS4's price, lack of check-in requirements and used game policy. All three points stand in direct contrast to Microsoft's Xbox One. "I think reducing the barriers to get gamers onto platforms is critical," Boyes said. "We're in the business of delivering as many consoles as we can and creating a great value proposition [and] that's always the challenge of how do you deliver that great gaming at the right price. And I think we found a good price."